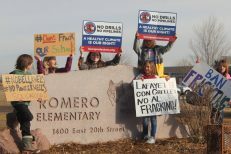 About 50 parents, students, and activists showed up Friday afternoon to Bella Romero K-8 Academy fourth through eighth grade campus in Greeley to show support for those who are trying to stop the installation of fracking near their school. 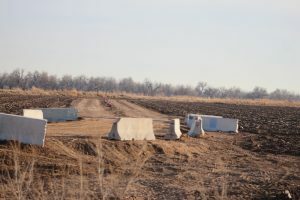 Although the 24-well, 15-H well pad and Vetting facility was rejected by the school board and many of the parents and despite lawsuits against the project, Extraction Oil and Gas of Denver has begun the initial stages of installation by building an access road. 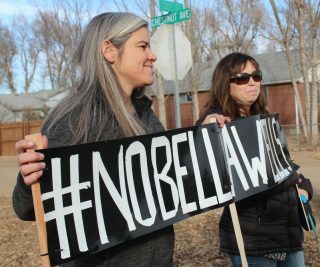 In 2016 despite local opposition, Weld County commissioners approved the wells, although the school board passed a resolution by unanimous vote, to reject all proposed sites within 2,000 feet from schools. 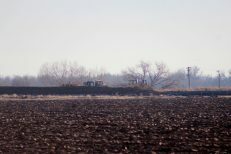 Greeley, the county seat of Weld County, a county known for its 24,000 wells, has 500 active wells itself. 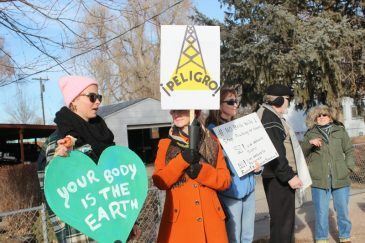 The proposed well site is recorded to be 1,350 feet from the school, a distance beyond the 1000 foot setback required by law, but the play areas of the school are well within that distance, causing concern among area residents. Setbacks are measured from the well head to the nearest wall of the building. For well pads with multiple heads, each well head must comply with the respective setback requirements. A bill to increase setbacks failed in the state legislature in 2017 with Weld County Commissioner Barbara Kirkmeyer testifying against increased setbacks. Although wells have been placed in District 6 schools within the required distance, none is the size of the proposed Bella Romero site. 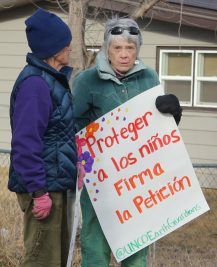 The student population at the school is 82% Latino, 5% African American according to greatschools.org with an overwhelming majority (92%) coming from low-income families. 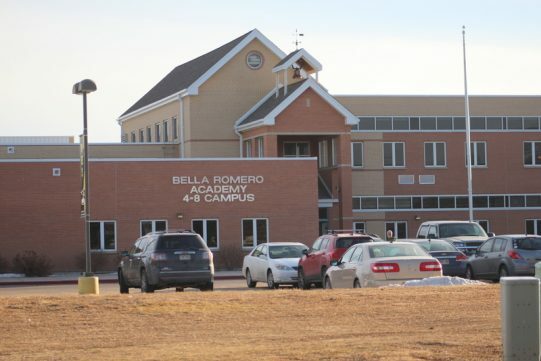 So advocates in addition to Winkler see the installation of wells as a social justice issue, especially with the language barrier, and especially because the original location was changed from Frontier Academy, an upper middle class school, to Bella Romero. 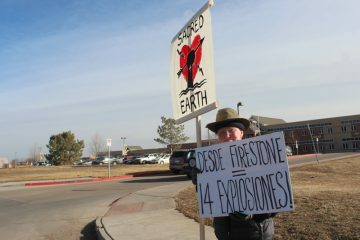 Winkler said that he felt that options are running out for those who don’t want the fracking near the school, “But we’re doing a lot better. 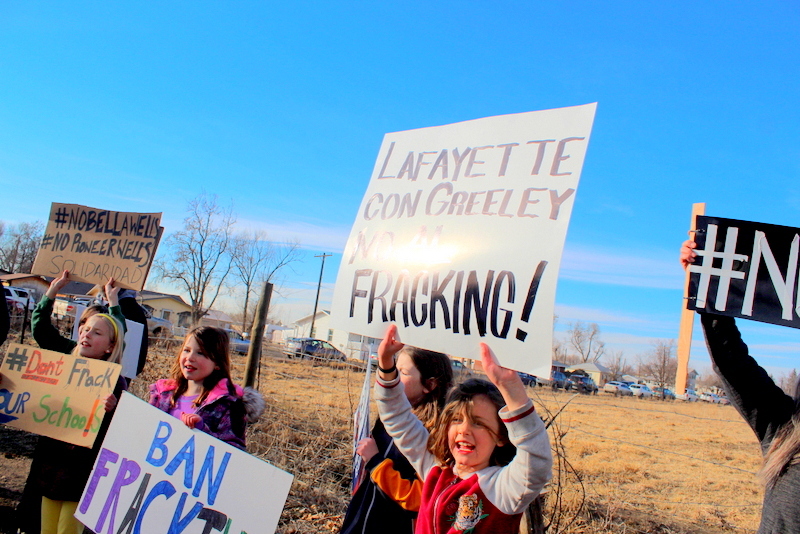 When I got involved really about seven years ago, I don’t think that anyone even knew what fracking was at the time. We just need to elect people at the local level that understand the impacts to our health, public health, longterm effects, how it’s going to impact our health. Who’s going to pay for those health problems that are going to occur eventually? The toxins they use are carcinogenic. 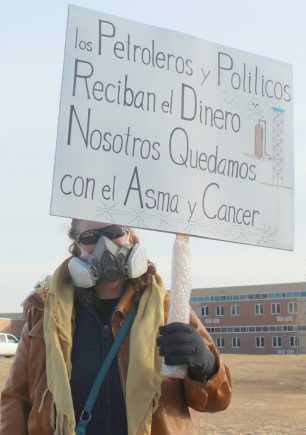 We have one of the highest rates of asthma in Weld County, and our officials just keep turning a blind eye to it. They won’t look at it. We bring peer reviewed international studies, research to them on the health impacts, safety. And it’s really difficult. The Weld County Commissioners will be elected in this November’s election. This entry was posted in Civil Rights, Climate Change/Environment, Politics, Racial Profiling/Discrimination. Bookmark the permalink.